The Singapore Mint brings to you one of the world's most popular Bullion Coins since 1988, the Canadian Maple Leaf silver bullion coins. Each silver coins comes uniquely packed in individually sealed original plastic packaging to prevent oxidation, giving your coins utmost quality protection. 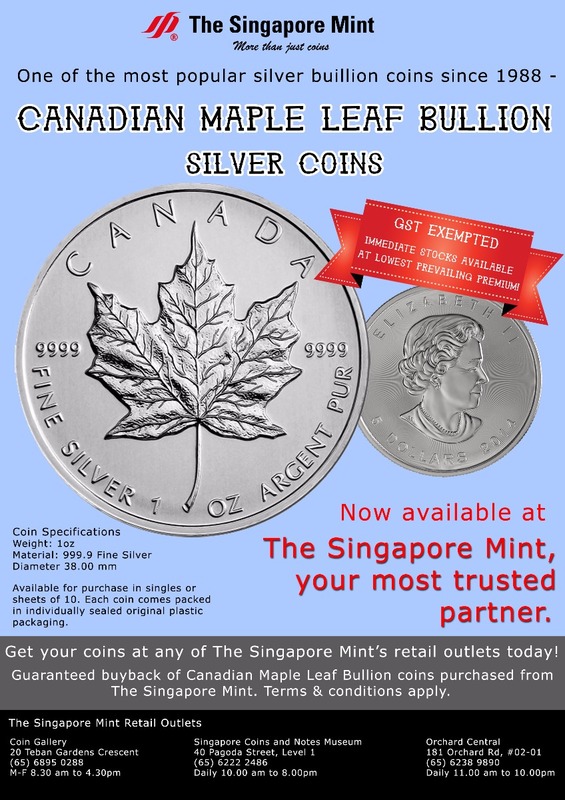 *Guaranteed buyback of the Canadian Maple Leaf silver bullion coins purchased from The Singapore Mint. Terms and conditions apply. Available only at The Singapore Mint retail outlets. Visit us to make your purchase now!